Hack the Arduino Robot: Garment Transporter: Finished! I have finished my robot. The spatula which lifts the shirts up. The Arduino Robot. The robot pushes the turntable and runs on a rubber track to ensure that it will not slip. Also, the robot can transport the shirt to different places deepening on which one of its buttons is hit. 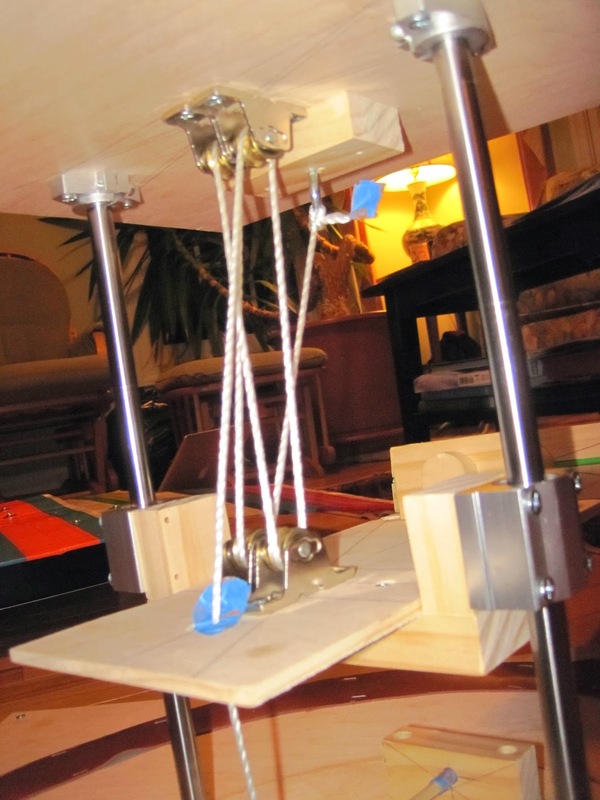 The pulley system which allows the robot to lift the shirt up. The linear bearings help ensure smooth motion. The spool which is attached to the robot’s left wheel. As the wheel rotates, the rope is pulled in and the spatula is raised.